Warning: This post contains spoilers related to tonights Doctor Who, as such please do not read on if you don't wish to have plot or character development information revealed. Please scroll down for other new Doctor Who content. It's been twenty-six years since our last adventure in Coal Hill School and few things have changed. There's still alien threats, there's still a time-travelling alien walking around but this time he looks a bit different. 'The Caretaker' throws you right into the weird and wonderful life of Clara Oswald, part-time school teacher and part-time time traveller who's been desperately trying to keep her two lives separate, but when the Doctor's involved we know that can't last forever. 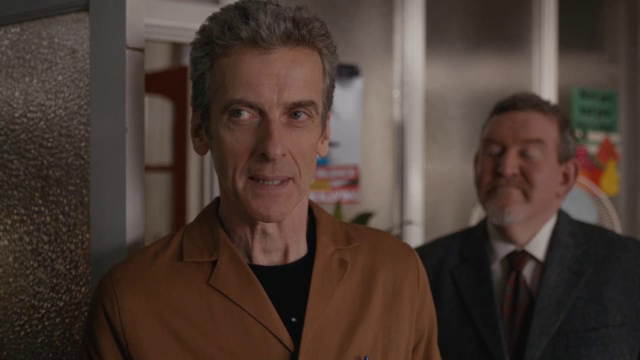 The Doctor has finally come face-to-face with Danny Pink. 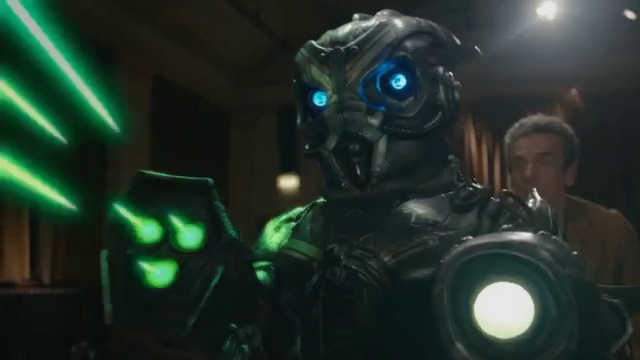 At face-value 'The Caretaker' is a very comedic story, which exists to progress the relationship between Clara and Danny which does unfortunately mean that in this story the Doctor has to take a back-seat and do his own thing off screen for the majority of the episode, but in a similar sense to 'The Girl Who Waited' his presence is felt throughout the episode, which I would argue means it worked rather well; I wouldn't say I'd like to see this every week though. 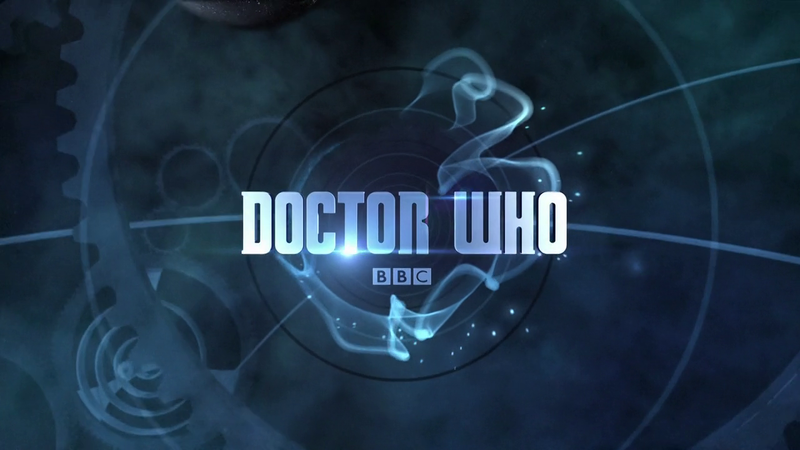 It can be argued that there is no true plot of this episode and that the only focus is the characters, while that is partially true the episode wouldn't have worked as well without a form of threat that wasn't too demanding (it was missing ''in another time'' for half of the episode), only being used when needed - there is a plot, but it follows the characters and their development towards each other rather than an actual threat that needs 'fixing'. "The anger of a good man is not a problem, good men have too many rules." 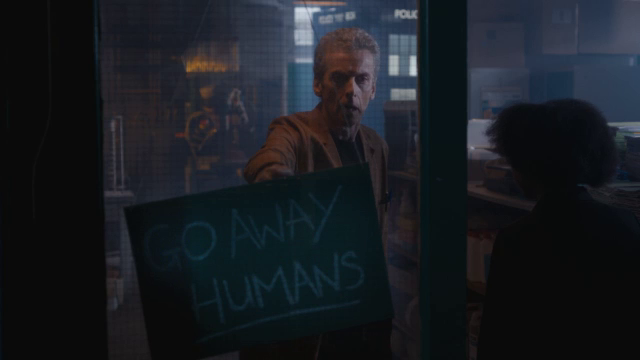 The words of Madame Kovarian Echo throughout this episode with the doctors anger towards soldiers coming out even more than it has before, originally through sarcasm and then later on through worry. Despite the Doctor coming off as harsh and cold towards Danny and by extent to Clara, he does it out of concern for her and wanting to protect her from harm. The Doctor has a much shorter temper in this incarnation, whether this is warming to the fans is yet to be seen but it certainly will have given some fans in tonight's episode the cold shoulder. Danny is equally to blame for the Doctor's anger, wanting to show what he thought he could see in the Doctor to Clara, but playing a timelord against his Impossible Girl isn't going to get him to like you. Through redemption however it is clear that the Doctor is warming up to Danny Pink, but his trust for Clara has been reduced and I think this will become clear in future episodes of this series. What is clear from this series is that Murray Gold is not at the top of his game, whether it's because of a smaller budget or because simply there's nothing original he can think of anymore, but this episode certainly is the best we've had so far for music scores. The 'Fish People' scene is one that sticks in mind, as well as a possible 'Danny's Theme' which does however sound like a slower and lower tone Amy's theme. Murray, what's happening man? Let's hope the second half of this series picks up. During the final scene we get some more Doctor and Courtney scenes, something which I originally thought wouldn't work but honestly...it does. Peter Capaldi and Ellis George really play off against each other brilliantly and I can't wait for her in next weeks episode, Kill The Moon. Just when you thought the episode was over though we have yet another Moffat twist, that CSO that got burnt to death earlier? 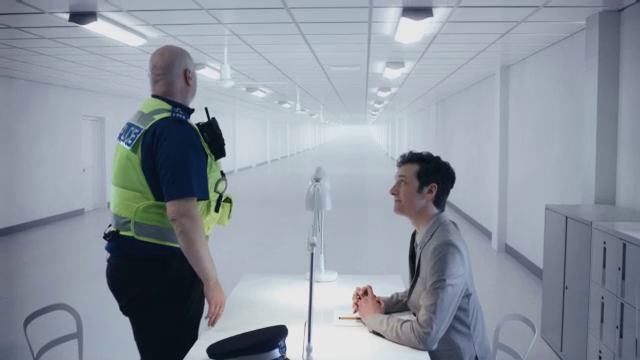 He's gone to the Nethersphere (or Heaven depending on your viewpoint), Chris Addison (who also starred with Peter Capaldi in The Thick of It) deals with this scene in a very mysterious way, which gets me really excited for his re-appearance later in the series with Michelle Gomez's character. This episode certainly is my favourite of the series so far, focusing on the emotions and characters rather than the threat. It would be nothing without the humour, but with such a dark Doctor it's sometimes needed; this episode wouldn't of worked with Matt Smith's Doctor. There's no scariness or complicated plot - it's a simple and family episode, one that is as risky as 'Boom Town' and yet pays off just as well. I would give this episode 8/10. Next Week: Kill The Moon. "Hello Earth, we have a terrible decision to make..."
Keep your eye out tomorrow for Guest Reporter Tony's in-depth review of tonights episode! I thought Clara's wide eyes were a little too much throughout this episode, though. If she is portraying more emotion, I would like to have seen more facial expressions than wide eyes. This season, so far, has been very clever. Introducing the characters and building their story is always tricky when aliens get in the way, but their special characteristics get to shine through in adversity. I think 12 is morphing back into 11. After reading your review, I went back to the scenes at the beginning with Clara and paid closer attention to the score. I think what Gold was trying to portray was a sense of almost a spy, someone leading dual lives with the music. It had a Bond quality to it and I think it worked fine.